If you were injured in a slip and fall accident, you probably have a lot of questions. You may be wondering whether you have grounds for a lawsuit and what kind of compensation you can expect. An experienced lawyer will address your concerns and explain how to file a slip and fall injury claim. – Seek medical attention. Don’t try to get up or walk if you are hurt; you could injure yourself further. Instead, call for emergency medical assistance. If you don’t require an ambulance, go to the emergency room or your physician’s office as soon as possible. – Call a reputable attorney with a strong track record of winning slip and fall cases. Do this without delay. A knowledgeable lawyer will advise you about the best way to proceed and keep you from making costly mistakes. – Take photos of the hazard that caused your fall, such as a wet floor, broken step or loose carpet. Photograph your injuries, such as cuts and bruises, or ask a bystander to take photos for you. – Get contact information from any witnesses who were present in case your lawyer wants to contact them later on. What if the Slip and Fall Accident was Partly my Fault? Michigan is a “modified comparative negligence” state. This means your compensation may be reduced in proportion to the degree you were at fault. For example, suppose you were texting on your cell phone when you tripped on some broken concrete. If you were 40% at fault, you would receive 60% of economic damages such as lost income and replacement services. And, if you are more than 50% at fault, you cannot recover any non-economic damages, such as pain and suffering. What is the Statute of Limitations for Filing a Slip and Fall Injury Claim? 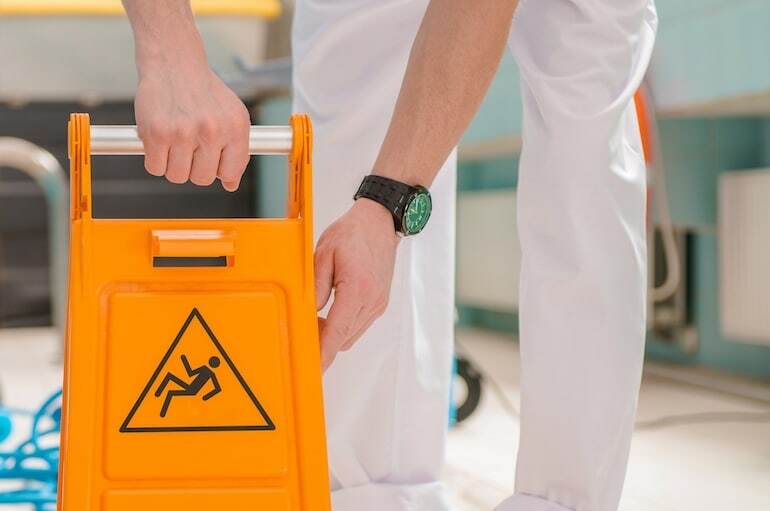 A slip and fall case falls under the statutes governing personal injury in Michigan. This means you have three years from the date of the fall to file a claim. If you slip and fall on government property, the time limit is much shorter. Minors have until their 19th birthday, regardless of when the slip and fall accident occurred. However, you should not put off contacting an attorney to handle your slip and fall case. The legal process can be lengthy, and your lawyer needs time to prepare a winning case. Furthermore, evidence can disappear and witnesses may not be available if you wait too long. What is the “Open and Obvious” Rule? This rule of law is often used to protect property owners from liability in slip and fall cases. The standard is whether “an average user with ordinary intelligence would have been able to discover the danger and the risk presented upon casual inspection.” However, this can be interpreted in various ways depending on the individual circumstances of each case. Therefore, your lawyer is the best person to determine how this rule might affect your slip and fall case. How Much Will it Cost to Hire a Lawyer for my Slip and Fall Case? A reputable lawyer will not ask you to pay upfront for handling your slip and fall injury claim. Personal injury attorneys are paid only after a case is won. If a lawyer asks you for a retainer in advance, look for someone else to represent you. Slip and fall law is complicated, but finding the right lawyer is simple.